The world’s demand for plastic results in a lot of waste, and meanwhile, lots of refugees across the globe lack the basic resources they need to secure shelter for themselves and their families. 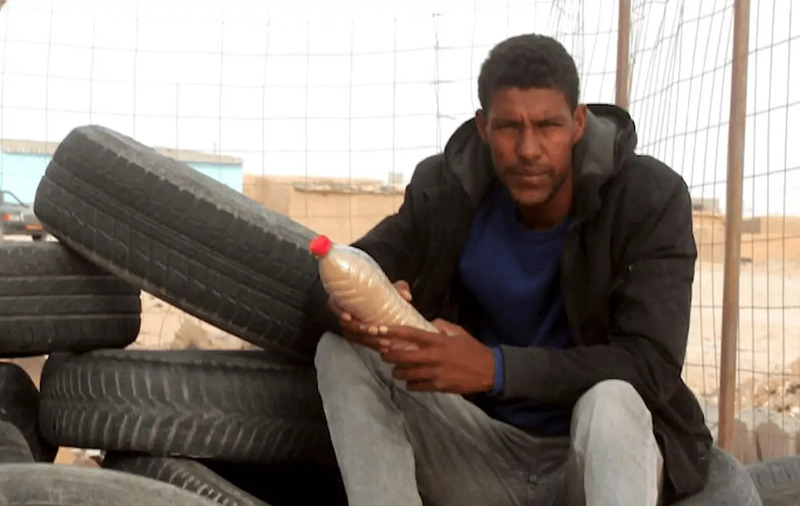 Breica has been building homes for his fellow refugees out of plastic bottles. The typical refugee in his area lives in an adobe house, which can be vulnerable to extreme weather. Brieca fills the bottles with sand and arranges them in a circular hut shape to keep the structure aerodynamic in the wind. He first tested the strategy on his grandmother’s house, and after its success, he received funding from the United Nations Refugee Agency (UNHCR). He’s now built 25 new homes. Each house uses 6,000 plastic bottles sourced from local junkyards and refugee camps. The bottles are sealed together with cement and limestone, and a roof is added made from recycled plastic. Pretty neat.